The World Cup is here, and we’re celebrating. We’re also taking bets, building out our brackets, and choosing sides. 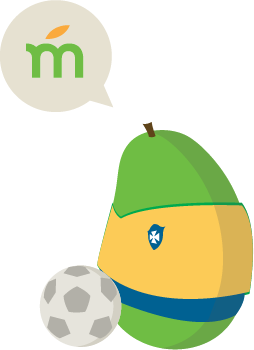 Here at Mango, we’re as international as we are competitive, so World Cup 2014 has understandably taken over our office – and we’re totally okay with that. World Cup fever is everywhere. Worldwide, an estimated 715.1 million people will be tuning in, and when the games begin this Thursday, we want you to be prepared. In honor of this year’s games and their host country Brazil, we've created a Brazilian Portuguese course entirely devoted to the celebration of soccer. In three fun and easy chapters, you’ll learn to make game-watching plans, swap insults, and cheer on your favorite team. In Chapter 2, one of the conversational goals is literally to “Yell at an Official for Making a Bad Call.” Soccer fans, this course is your dream come true. Soccer nerd-dom is a beautiful thing. Embracing your inner Ronaldo opens up a whole new world of World Cup culture even beyond the games themselves: music anthems, commercials, parties, social media hashtags, and even this epic 5 minute advert from Nike, in which some of the world's best players are animated superheroes fighting evil. It doesn't get much better than that. There's never been a better time to be a soccer fan. From June 12th to July 13th, Brazil will lead the globe in living and breathing soccer for nearly a month straight, and there will be no shortage of ways to get your World Cup fix – even while learning a new language. It's a well-known fact that bilinguals do it better, and we're pretty sure that whoever can call the ref a donkey in two languages wins the argument. Whether you're tuning from a bar, a couch, or from the host city, (We're. So. Jealous.) you'll have more fun with more people when you're celebrating in two languages. The countdown is on: let the games begin!